Hey everyone! I couldn't really decide what to call this post as I'm not sure whether these really are gingham or not. With my previous gingham designs (see here and here) the white has always been the base colour. Here, however, the orange is the base colour so I'm not sure if it's just a checkered design or if it can still be classed as gingham, you'll have to let me know! This design came about because I realised that Barry M - Cotton* is incredibly opaque for nail art, so when using it for stripes it doesn't go blotchy, which is an issue I normally have when striping with white. All the lines created with this are solid, and it made it easier to do these. The base for these is OPI - Is Mai Tai Crooked? * from the recent Hawaii collection, then I used Barry M - Cotton* for the stripes, and then I filled in the centre of the stripes with a mixture of Is Mai Tai Crooked? and Cotton, finished off with a coat of Seche Vite. I love the colors! :) love the design! This is cute and fun. The colors are spring into summer and I love the checkered design. 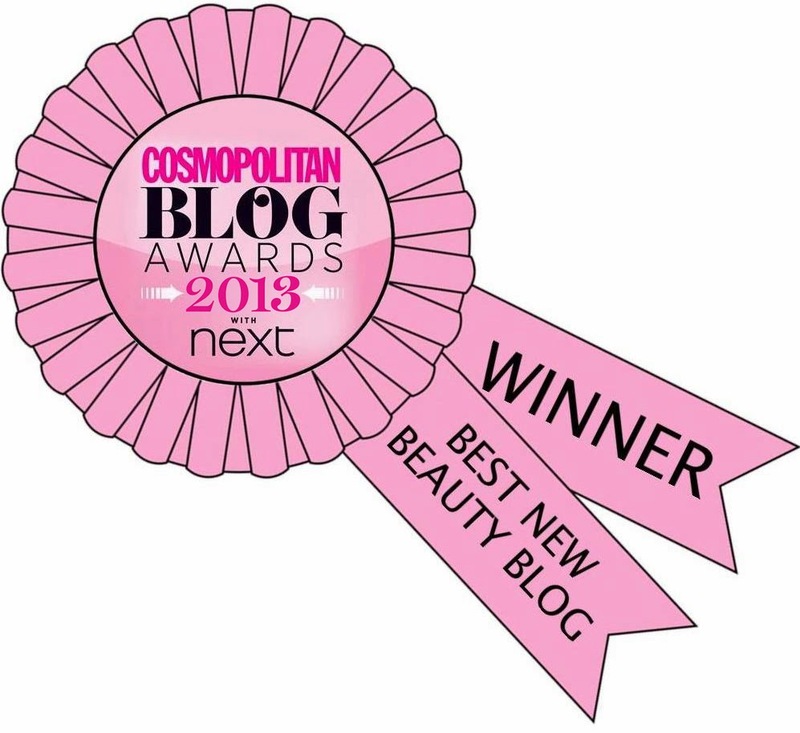 Awww...this is so pretty. I am not a big fan of range but upon seeing this I love it. Love the color and design. Great job! Super super cute! 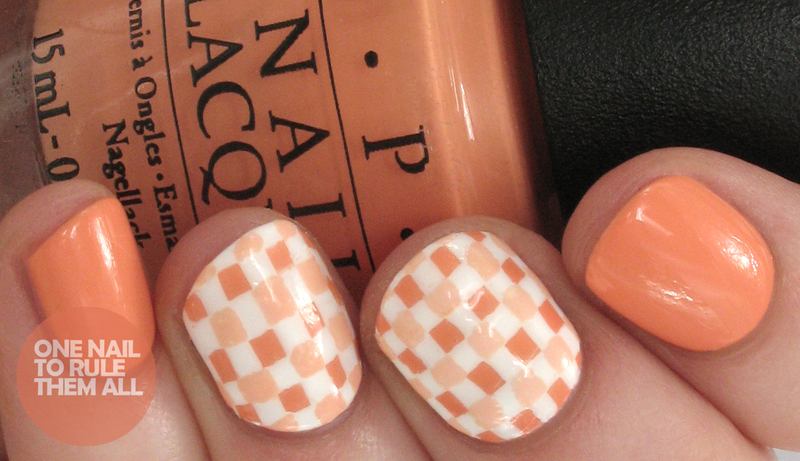 I love your gingham nail art designs! That OPI base is so pretty. Is it a peach or more orange-y? 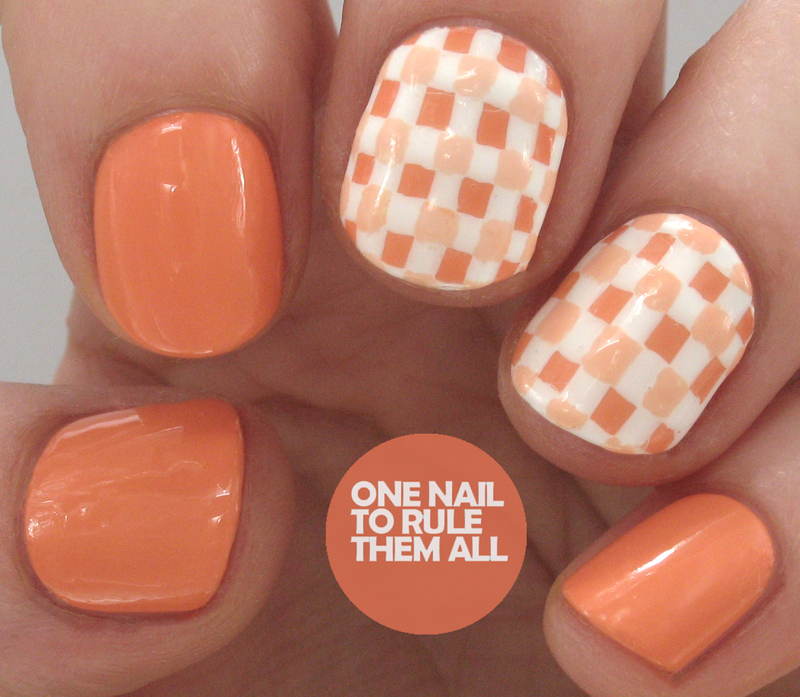 I love gingham prints and on the nail it looks so adorable! Cute for spring! The gingham print is so cute in this colorscheme! I thought you started with white and created the squares afterwards, funny to read it was a different approach. I would call this gingham!